EverClean Surface Inhibits the Growth of Stain and Odor Causing Bacteria, Mold & Mildew. 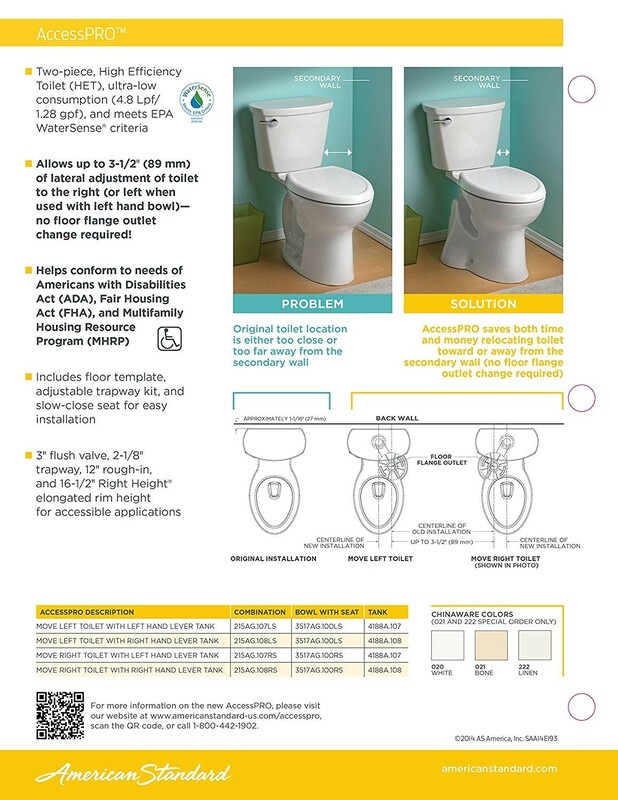 AccessPRO Toilet is a 2-piece high efficiency toilet that uses only 1.28 gal. of water per flush for enhanced water conservation. AccessPRO ability to adjust toilet up to 3-1/2 in. Robust metal trip lever and metal shank fill valve. Right Height Feature for Accessible Applications. PowerWash Rim Scrubs Bowl with Each Flush. 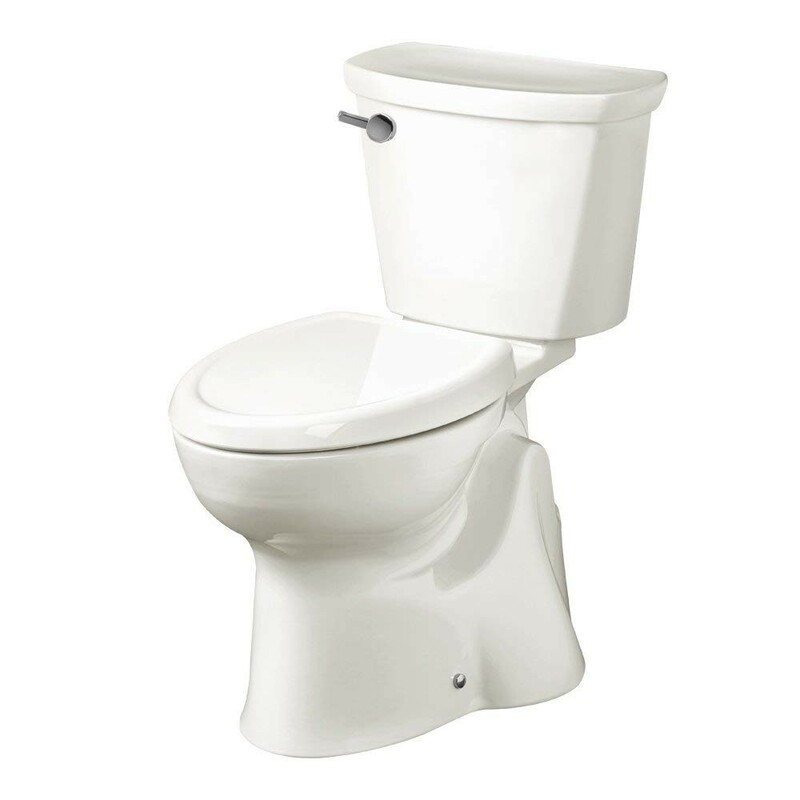 American Standard 215AG107LS.020 AccessPRO Toilet is a 2-piece high efficiency toilet that uses only 1.28 gal. of water per flush for enhanced water conservation. This Product also has the ability to adjust toilet up to 3-1/2 in. laterally making it the perfect toilet for those remodeling jobs. The AccessPRO saves both time and money, allowing you to relocate the toilet toward or away from the secondary wall. No floor flange outlet change is required. Its EverClean Surface Inhibits the Growth of Stain and Odor Causing Bacteria, Mold & Mildew. RIGRO Design for Overstock Plumbing Deals © 2018 All Rights Reserved.